It's no secret that I have an affinity for skeleton keys, and have accumulated a small collection of them over the years. 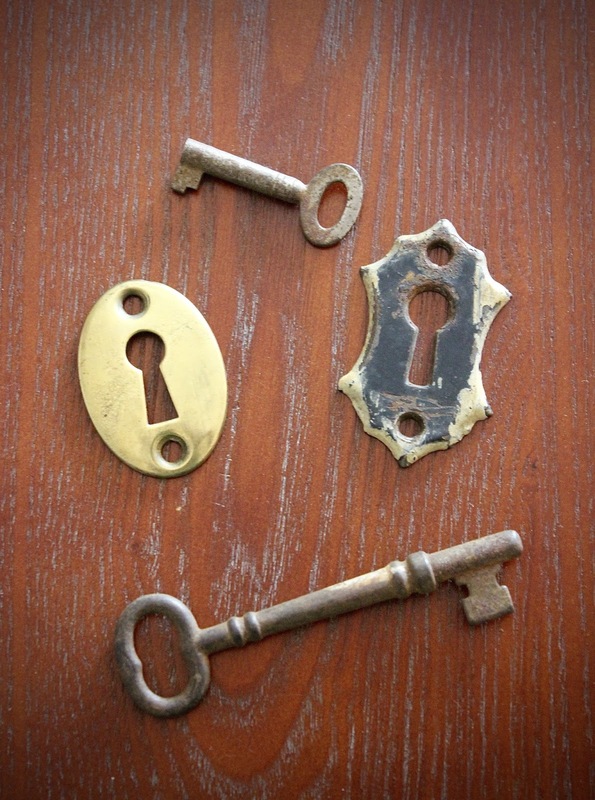 So when I saw that one of the many junkers at the Columbus Flea Market had a few keys, keyholes, and locks in their heaps of rusted tools and trinkets, I snatched them up. I admittedly paid a little more than what I usually would---but immediately fell in in love with the rust and patina, and forked over the cash without hesitation. And due to a funny little exchange at work the other day, I may come to inherit a few more keys for my beloved collection. I was chatting with a delightful older woman the other day---a woman with Revlon red cat eye frames and an arm-full of jangling costume jewelry. Her bright colors and sassy demeanor reminded me of a younger Iris Apfel. So when she inquired about the tattoo on my wrist/forearm, I was obliged to tell her all about it. 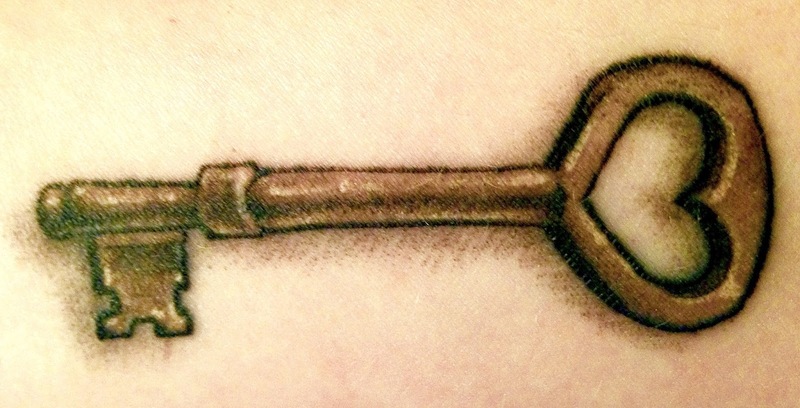 This was the first skeleton key I purchased secondhand and I loved it so, that I brought to the tattoo parlor and asked for the closest rendering the artist could give me. The result was breathtaking. I would like to get a matching keyhole for the other wrist, eventually. My sassy septuagenarian customer then turned to her daughter who was shopping with her and asked that she reminds her to bring her old keys next time she comes in. She would like to give them to me. How sweet is that? Before she left she said that she always wanted to get a tattoo. I told her she should go get one. This brief exchange was the highlight of my day/week/month. I didn't even catch her name. I find it funny that I'm frequently complimented for being "a nice young lady." And I'm saddened to think that being nice really may be an attribute in a cruel world. That a please and thank you, or a simple greeting and a smile, when genuine, is really noticeable and maybe even appreciated for something special. But I think the key is this...you just never know what hidden grief a stranger carries with them. Maybe a simple exchange of pleasantries is all they really needed, and maybe you just made their day a little brighter. And THAT is a real treasure. Keys and locks speak to me as well. I've always been something of a private person and I think that I'm drawn to them, at least in part, because they have (or had, when used as intended) the ability to keep us guarded and safe. 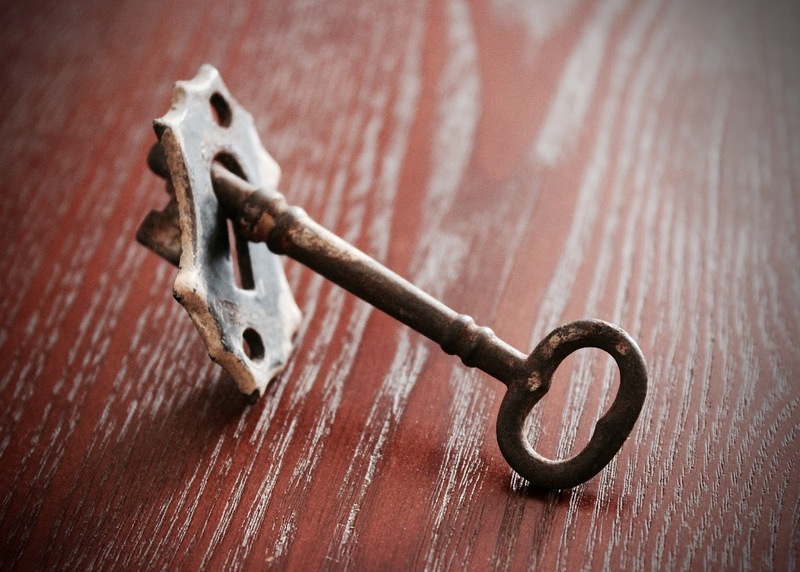 I never really have drawn any connections between my personality and my penchant for skeleton keys. Aside from the aesthetic, I think I like that these outdated trinkets are symbolic of an entryway into the past. I mean, looks at the car industry. So many newer model cars have keyless entry. Who knows? In another 20 years maybe our homes will be the same. Unlocked by thumbprint or retina scan. Very sci-fi...but sad for the sentimental collector in me. As always, thank you for reading!